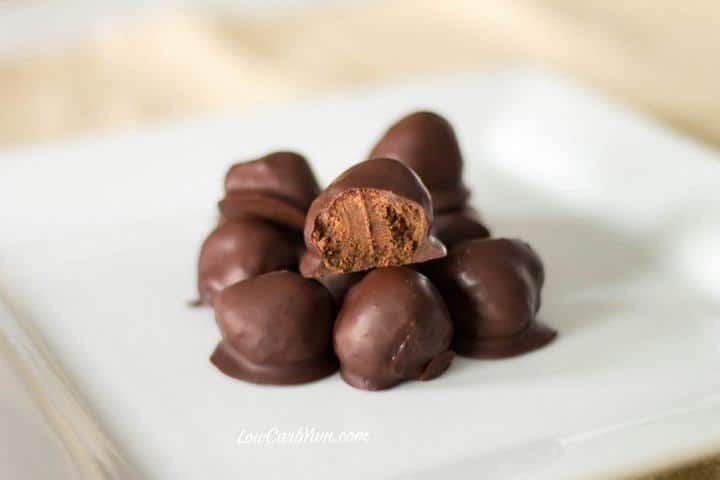 Delicious low carb sugar free chocolate truffle candy recipe with a creamy ganache center. These truffles are a wonderful treat to share with someone special. Chocolate truffles are traditionally made with a chocolate ganache center coated in chocolate, powdered sugar, cocoa powder or chopped nuts. You will typically find them shaped in balls. 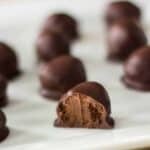 However, it’s nearly impossible to find good quality low carb sugar free chocolate truffles. 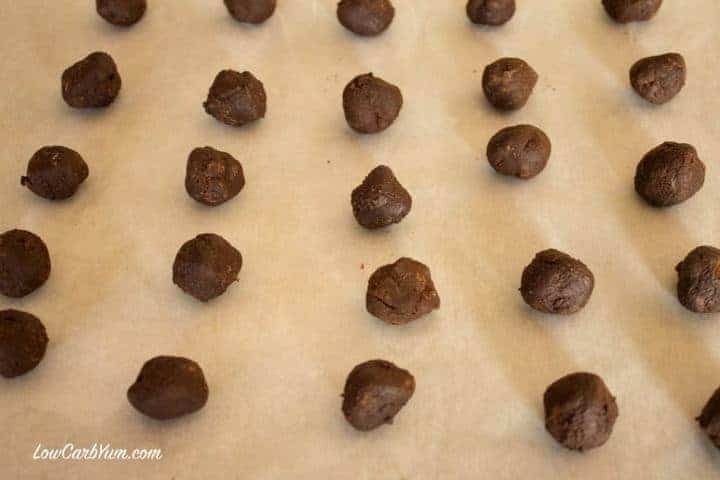 I have made low carb fudge truffles previously. 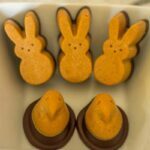 But, they did not contain the creamy ganache centers of the more traditional candy. 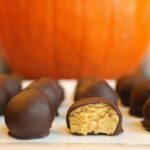 That’s why I started to experiment with a sugar free truffle candy recipe. My family really enjoys the Lindt Lindor Truffles. And, I will occasionally make an exception to enjoy one of these sugary confections on a holiday or other special occasion. If only they made a sugar free low carb version of the Lindor 60% Extra Dark chocolate truffle which is my personal favorite. To make matters worse, there is a Lindt factory outlet store not too far from where we live. 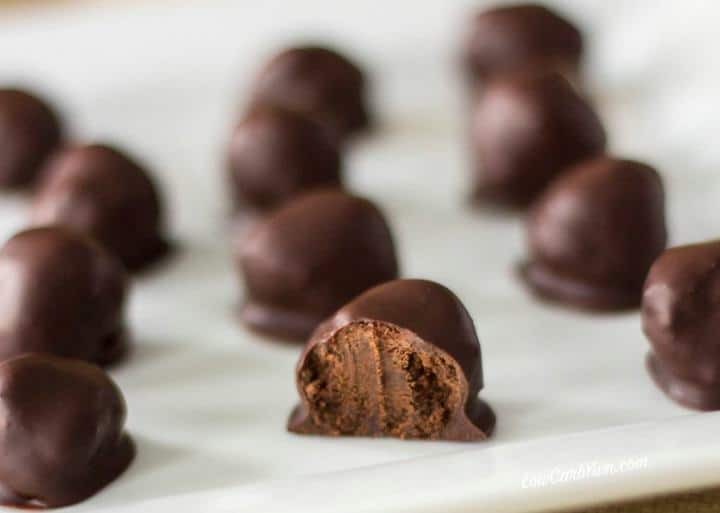 The ganache centers in this sugar free truffle candy recipe are made from melted chocolate and a little heavy cream. 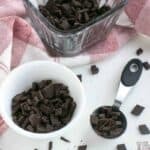 You can use your own homemade low carb chocolate or sugar free chocolate chips or bars. 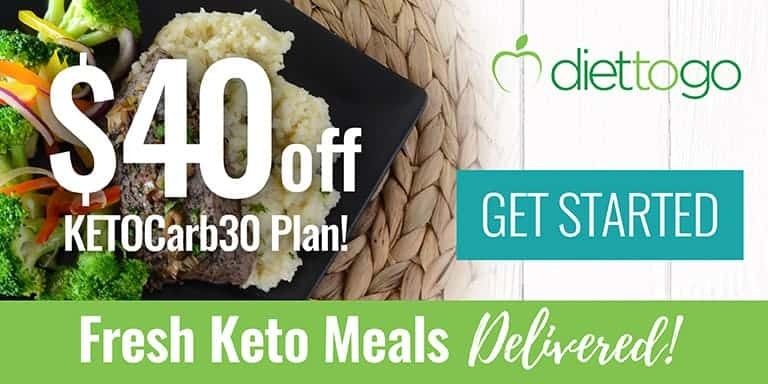 To enhance the flavor, I added both vanilla and chocolate extracts. After being in the refrigerator overnight, the ganache was pretty hard. So, I let it sit out at room temperature for about an hour before rolling into small balls. I found it was best to roll the balls with food prep plastic gloves so the chocolate didn’t stick to my hands. I ended up dipping the centers in the chocolate twice. If you’d like a thicker shell, they should really be dipped 3 or 4 times. I let the first chocolate layer sit until the shine went away before dipping again. 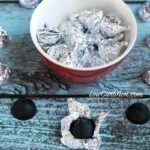 This low carb truffle candy recipe is really simple to make. It does take some time to prepare, though. But, I find candy making to be a very relaxing way to pass the time. 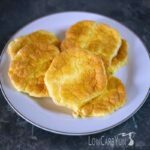 These were a delicious treat that even my picky daughter enjoyed and they weren’t overly sweet like some candy. 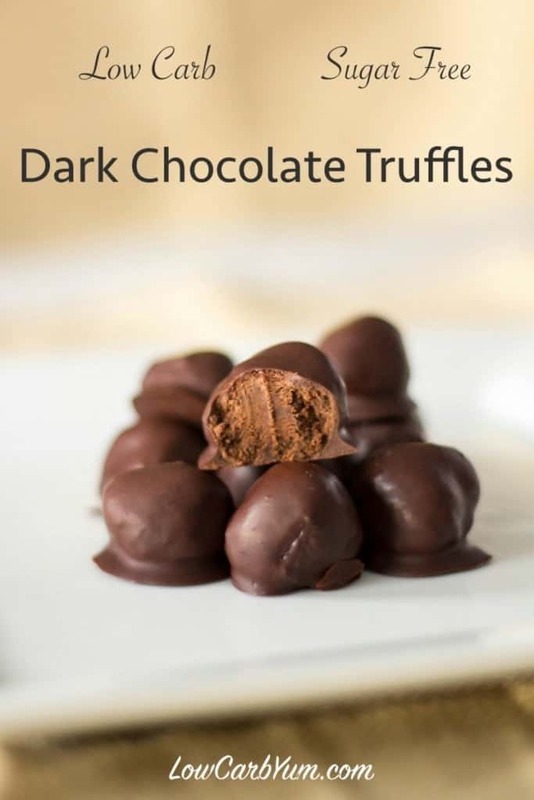 The high fat content in these sugar free chocolate truffles also satisfied my hunger when I snacked on a couple of these truffles between breakfast and lunch. 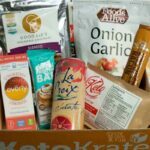 I could definitely eat one of these every single day! 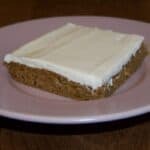 For those that like white chocolate, I have a similar recipe with a creamy white filling. 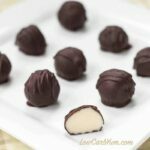 Delicious low carb chocolate truffles with a creamy ganache center. 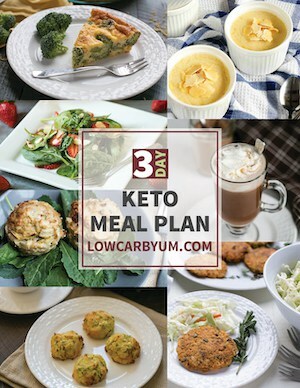 This low carb candy recipe makes a wonderful treat to share with someone special. Melt chocolate in a chocolate melter or double boiler. Add heavy cream, vanilla, and chocoalte extract. 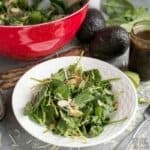 Allow mixture to temper for about 4-5 minutes. Pour hot mixture into a small bowl and cover top with plastic wrap. Allow mixture to chill for a few hours or overnight so it is hard enough to form. Remove hardened ganache from refrigerator and allow to set at room temperature if needed. Using a cookie scoop or tablespoon, form equal amounts of ganache into balls. 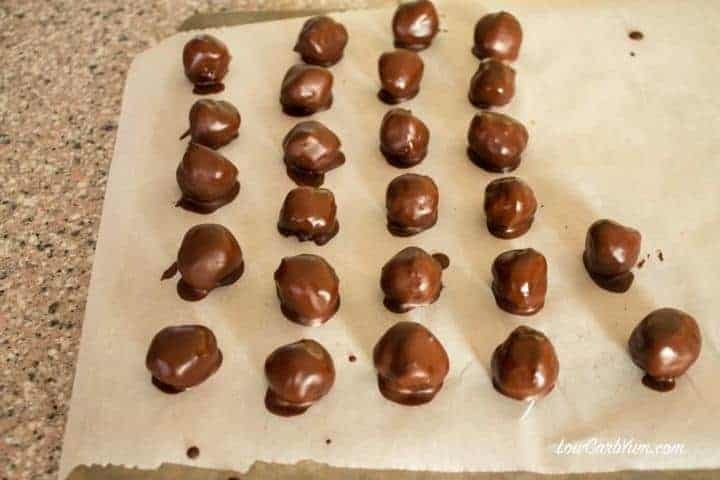 Set balls onto parchment paper or wax paper and place into refrigertor while preparing chocolate coating. 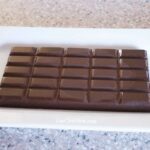 Melt baking chocolate and 1/2 ounce cocoa butter in chocolate melter or double boiler. Remove ganache from refrigerator and coat with melted topping. For a thicker coating, the truffle will need to be repeat dips in the chocolate after each layer of coating has set. Ganache can be coated in chopped nuts or sea salt prior to dipping in chocolate.